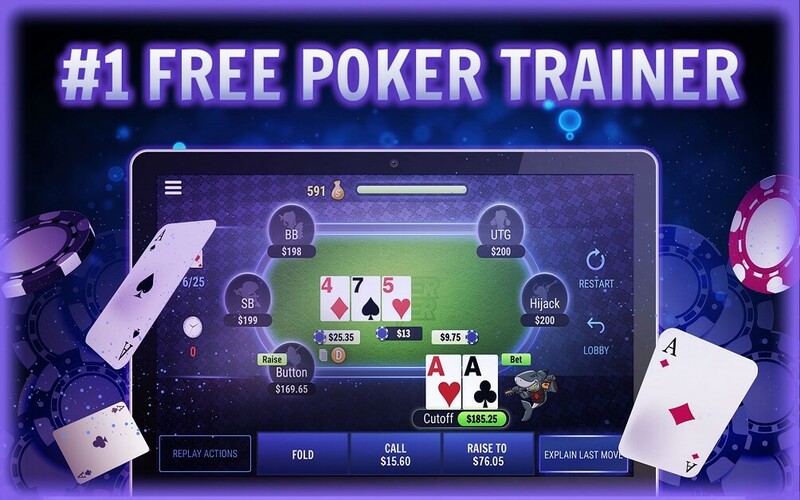 Poker Fighter is an Online Poker Training App that allows you to play Risk-Free poker while getting Instant Feedback from Professional Players. You can Play, Practice and Improve using this Unique Online Poker Trainer that Simulates Real Cash Games. 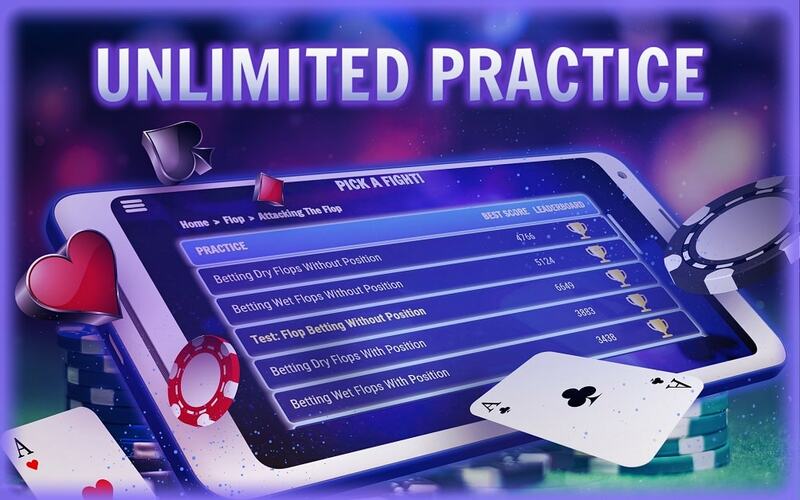 The Game was designed to offer a better access to the Poker World for Newbies and Experienced Players who want to Maximize their Winnings and Improve their understanding of the game. We provide the Best Value for Online Games up to $0.25-$0.50 and Live Games up to $1-$2. 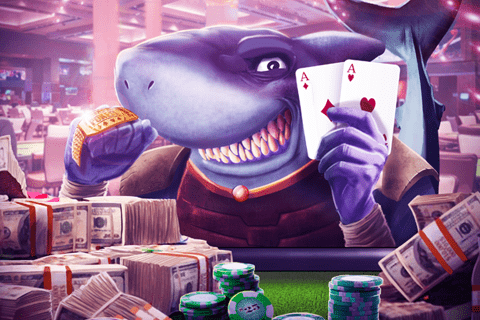 Your Journey to becoming a Poker Shark starts Here! Shai "GaborMarton" Zurr is a Professional Poker player since 2010. His biggest achievement is winning a World Series of Poker bracelet in 2017 for taking down event #65. Other notable score is a deep run at the WSOP Main Event 2015, where he finished 38th. Shai also has an impressive record at the famous Little One for One Drop WSOP tournament, with 4th place finish at 2014, and 8th place finish in 2016. With 3 final tables in 4 years at the WSOP, more than $2,000,000 in tournament winnings, and a stunning record at high-stakes cash games around the world, Shai is considered as one of the best players out there. 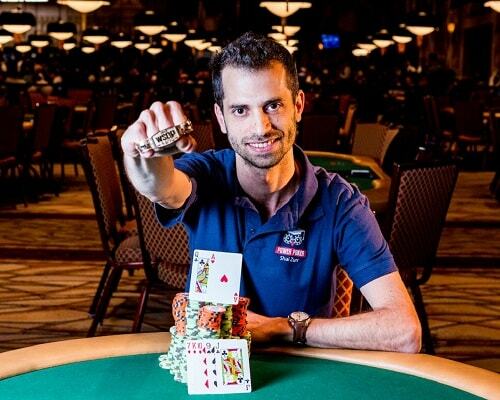 Shai is also a top poker coach with bracelet-winning students, and one of the founders of the Israeli Poker Academy. Stas "Stasia42" Tishkevich is a Professional Poker Player since 2012. During his career he has won more than $200,000 playing online cash games & tournaments at PokerStars. After coaching at PokerStrategy and sharing his knowledge with the online poker community through the 2+2 Forums, Stas has founded the Israeli Poker Academy in 2014. At the academy, Stas teaches novice players the basic concepts of modern-day poker, with frontal lectures, guided-live practices and a unique online platform. With more than 2,000 satisfied students, Stas is nowadays one of the leading poker teachers in the world. 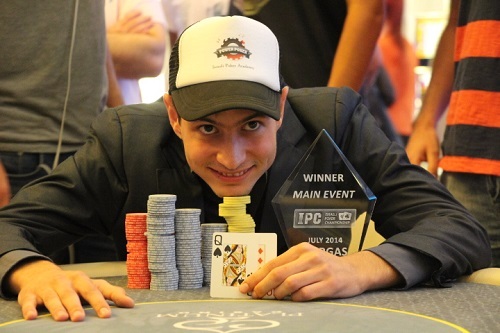 Eyal "Casias" Eshkar is 23 years old and one of the brightest rising stars in poker nowadays. He conquered Israel by winning back to back the Israeli Poker Championship in 2012 and 2013, in addition to founding the Israeli Poker Academy in 2014. He already left his mark on the poker world after finishing 2nd in EPT Prague side event and making a deep run in 2017 WSOP Main Event. 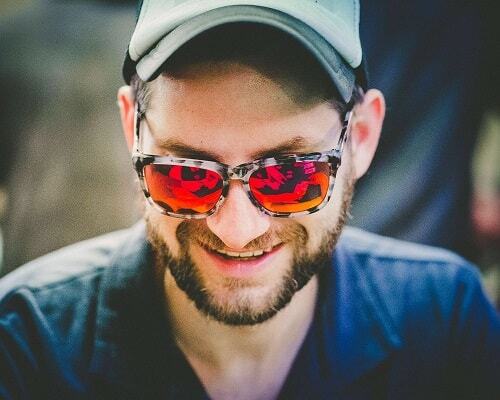 With 9 trophies on his shelf and more than $500,000 in winnings, he is considered a top all-around poker player, mastering both live & online cash and tournament games. Eyal has coached thousands of students, and is known for his mental approach for the game. His moto is "Self-improvement in Life through self-improvement in Poker". 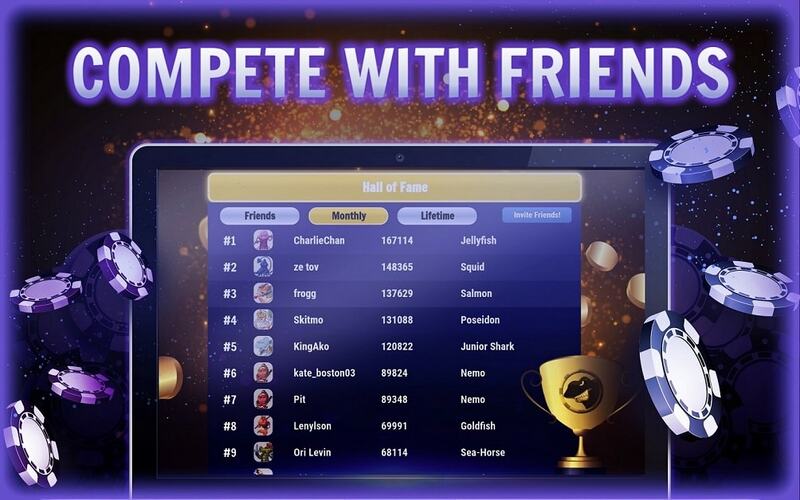 Compete VS Your Friends and Players Around the World, Conquer the Leaderboards to Prove you are the Best. Learn how to Crush Various Opponents at the Poker Table, Both Live and Online. Direct Access to Infinite Variety of Scenarios and Spots, 24 hours a Day, 7 Days a week. Turn the Game you Love into a Profitable Hobby, without Risking any Real-Money. Get Instant Feedback on Your Actions and Decisions, Including the Thought Process of a Pro. Comfortable Pricing Plans and no Commitment, Allows Everyone to Improve their Game. I'd like to credit your Trainer for my $3,000 of winnings over the last 4 days!! I've improved so much in so little time, I truly believe this product is GOLD. "New Cutting Edge Poker Training Software"
"Poker-Fighter Training Site: A Review"
How is Poker Fighter different from other Coaching Methods? Coaching Sites don't offer the possibility of risk-free practice, and offer many different approaches for the game used by known and popular players. Strategies that work for those seasoned Pros will not necessarily work for you. Private Coaching is usually very expensive (at least 50$ per hour), and involves short learning sessions (2-3 hours per session). Private coaching is usually done through Live Sweat or Hand History Review, while the Coach tries to find leaks in your game based on a small sample. Booking a coaching session with a Pro Poker Player is not an easy task. Statistical Tools such as Tracking Software, HUDs etc. offer only Numbers and Frequencies, and trust you to translate this information into a winning poker strategy. Players who lack the experience with Mathematical Thinking and Statistical Rationalization usually take poor decisions while trying to use this Information. 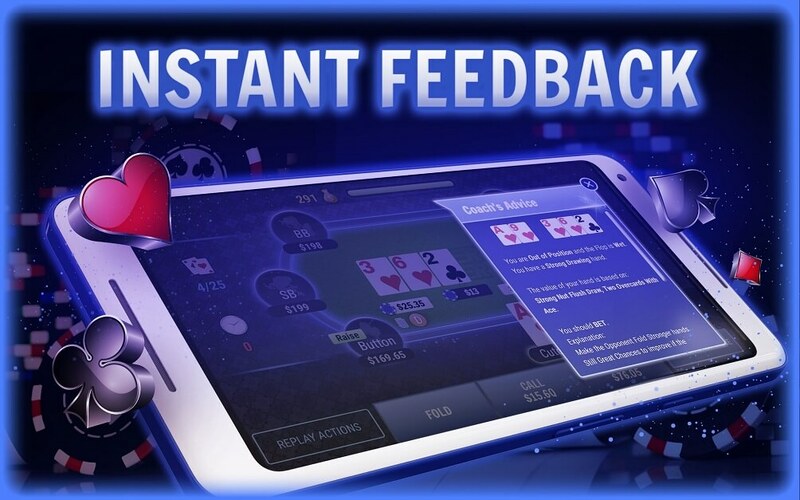 Poker Fighter is offering you an intuitive feedback on actual poker decisions, while focusing on the specific spots you want to improve. It lets you Practice these scenarios without Risking Real-Money, 24 hours a day, 7 days a week. How does Poker Fighter know the right move? 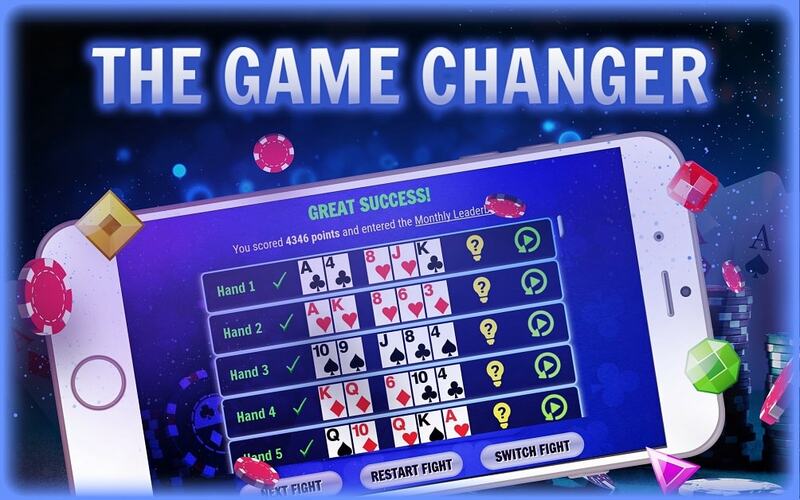 Poker Fighter is a Complex Poker Mind that uses various tools to analyze any poker hand, and offers the suitable solution based on the Player Types involved in the hand. The Solutions are then being explained in a simple language to offer the best learning experience possible. All the decisions and advices are based on Optimal Strategies developed by Pro Poker Players who tested them in Millions of Poker hands. What Stakes would I beat if I play by Poker Fighter's Advices? Given good understanding of Poker Fighter Theory and Implementation, you should beat Live Cash Games up to $1-$2, and Online Cash Games up to $0.25-$0.50. The reason behind the difference is that Live games are usually much softer than Online Poker. I think Poker Fighter plays way too Tight PreFlop. Why is that? The most common mistake of Poker Players is to play too much Pre-Flop, which results in tough spots and decisions Post-Flop. Poker Fighter teaches Optimal Strategy VS Loose Passive Opponents that usually play wide variety of cards Pre-Flop, following by a somewhat Passive play-style Post-Flop. These Players are very common in Live Cash Games and Low-Stakes Online Games. They don't Re-Raise with weak holdings Pre-Flop, nor they Raise Drawing Hands Post Flop. How does Bet Sizing work for Poker Fighter? Most Novice Poker Players choose their Bet Sizing according to their Hand Strength and what they "want to happen". By doing that, they give lots of information to their Opponents. Poker-Fighter takes a balanced approach and use the same sizing for every spot rather than changing it based on strength. Pre-Flop it uses Standard Bet Sizing based on your Position at the table. Post-Flop it uses Standard Bet Sizing based on the Board Texture and Pot Size. How to Upgrade to Premium? Super Easy! Log into the game and click on the green UPGRADE button on the top right of the screen. If you want to test the Poker Fighter before committing, you are more than welcome to Try it Out NOW for free, in the free Scenarios that are open to everybody. If you want to check out the Premium Levels, you can choose between 1-month, 3-months, or 6-months plans. Like in Poker, planning your strategy in advance brings to better results. © 2018 Mindful Games Ltd.